This is your monthly update. As I said last time, it makes more sense right now to update every other month because of current schedule and progress. Part of the issue is that I am just so darned busy right now. I am a gypsy moving from place to place and taking care of family. Still in some of my off time I have managed to get some great things done. More about that further down with a teaser. A lot has happened since the last update and I am very excited to tell you about everything. So first off be sure to take a look at the picture of the month. I have found some really good ones this month. Also please take a look at my feature article of the month, “The Amazing World of Edward Barlow”. HERE Barlow (1642-1706) was in the Royal English Navy, the English East India Company or served aboard English merchantmen his entire life from before the Restoration on up to the turn of the 18th century. Barlow was literate and was a pretty good artist. The reason Barlow is so important to us now is because he kept an AMAZING journal of his life at sea and the ports of call he came to and he provides dozens of incredibly detailed illustrations. Its a good read and I have provided all of the illustrations from his journal currently available online. I don’t quite have a review ready at the moment, but I am reading three books currently (not uncommon for me) and have a couple of them almost wrapped up. So expect an actual review in the next week or two on THE BUCCANEER’S REALM: Pirate Life on the Spanish Main 1674-1688, by Benerson Little. Little is a former Navy Seal and one of the primary advisors for Black Sails. I will tell you that this is a very good book and I’ve enjoyed it very much, however, there are a few small things that Little got wrong and I will tell you what they are and present my own take on these areas with some evidence to back me up. So stay tuned for that very soon. As far as my historical research is going – my own book on Zeerovers and Buccaneers is nearing completion. Four chapters still need some work and additional notes are a never ending task. On my two chapters concerning Dutch Zeerovers and privateers in the New World, I continue to unearth more and more fascinating dirt. If you remember my article from last month on the Tyger vs the Schakerloo, I cover Binckes and Evertsen’s attack on Chesapeake Bay and their seizure of the English colonial tobacco fleet. Remember that this event and the sack of the many plantations by the Dutch, marked the first battles on North American soil between European troops (Dutch Marines vs English Colonial Militia). NOTE: I received an email asking me why Binckes was the commander when Evertsen outranked him. I should actually amend the article. It is true, but Binckes received the command and the orders. Evertsen being the adventurer he was and a good friend of Binckes I think just decided to come along with his own ships. In addition I failed to mention that the additional squadron that joined them during the campaign on the New England coast, was none other than Schout-bij-nacht (Commodore) Abraham Crijnssen (another character in ERAS2). Great Britain, Colonial Office, CO 1/34 (37), 85. MHA 16-C-2-024. Transcribed by P.E. Pope. Captain Dudley Lovelace of New York, with 50 soldiers, all prisoners in several of the Dutch ships, were brought upon the coast of Newfoundland, upon the 4th of September 1673, and carried into the harbour of Ferryland, where the enemy plundered, ruined, fired, and destroyed the commodities, cattle, household goods, and other stores belonging to these inhabitants following, viz. value of £ 2000, according to the best calculation. They also took away 4 great guns, the fort being out of repair, and no commander upon the place. The day following, 30 fishing boats belonging (as the inhabitants said) to Mr. Nicholas Neville of Dartmouth, and company, were burned in the harbour, and as much fish as the ships could carry away, taken. They also forced the inhabitants to send 6 hogs, and one bullock, to each ship, as a composition [protection money] for what they [the Dutch] left behind them. Upon the 9th of September, the Dutch went unto William Pollard’s house, 3 miles distant and plundered him of 400 quintals of fish, provisions and household stuff amounting to £ 400 sterling. They likewise burned at that place 40 Fishing boats, the house, warehouses, etc. belonging to the fishery in that harbour, besides several English prizes [prize ships] which they brought to their general rendezvous at Fayal [in the Azores]. The ARMS OF LEYDON, Abraham Fernando van Zeyle, vice admiral, 40 guns. The UNITY, Captain Regenwyn, 40 guns. Captain Pasquall de Witt, Commander of the SCHACATOR, 36 guns. To the truth of this I am ready to depose. Pretty fascinating stuff eh… My book is full of this level of detail. So now on to GAMING…. In June I briefed you on the Quadratic team’s efforts. While they have been going slow, they are making progress. There are new updates and they are continuing to work. So my fears that they had stopped are unfounded. I am actually looking more forward to them completing their work than Bannerlord being released! ….and let me tell you, when Bannerlord gets released, I plan to drop everything and disappear for at least a week or more into my den of innersanctum. I know the mod team has been quiet lately and that’s mostly my fault. I had promised to get our modders compiled files to work on. Well two problems have prevented this, 1) sporadic internet connections during my travels and – 2) my 2TB external drive quit functioning with my desktop, but it still works with my laptops….weird. I am in the process of transferring everything to a new external because everyone thinks its failing. The good new is I found two other ships I had forgotten about for Orazio to mess around with. One is called the Vianen and she is a beauty! Also I grabbed the Golden Hind out of Build 14. I have made two other skins for her. 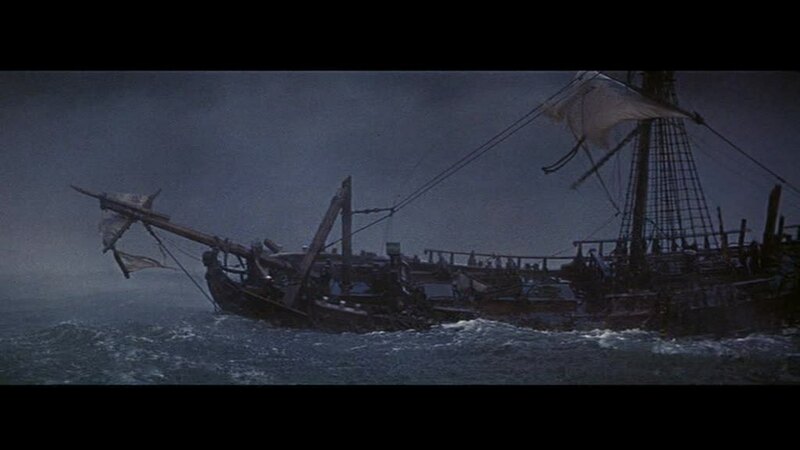 She has different rigging than the small galleon, standard galleon and Dutch galleon. The two other skins look much like the Old English Galleon (Elizabethan Race Built Revenge model). If you look at contemporary descriptions of small galleons built by the English they were often given the name Bark – even though technically they were a small galleon. So I am thinking of calling her Old English Bark. I reworked the POTC skin slightly but it was already pretty nice. The two new skins have red and white chevrons and the multi-colored triangles that were typical(going for the look of the Susan Constant or Mayflower here). More awesome variety. I also found another ghostship in the old original GIC mod that is based on the fat French Warship that was in the original AOP1 but it has two full balconies on the back side. She will be yet another French warship and is turning out nice. Spoilers coming soon on these ships. So there is still more brewing… I am promoting Jeffrey to moderator/administrator on the site. This way he can track how many times his mod links get clicked on. Jeffrey has been quiet lately because his computer died. He had to have the data recovered. I spoke to him on the phone last week, and everything he was working on is OK and recovered. He should be getting it back as I write this and am sure will jump back in. Jeffrey and I discussed several great ideas that we think we can make reality for the MEGA PATCH. The most exciting one I will mention is reworked flags. Now I know I have reworked flags a couple times before, and some of you may have seen my youtube vid on the reworked flags. Well Jeffrey thinks he can extend the baseline space for the main flag texture file so that it won’t look stretched any longer. In addition, he believes he can get the game to point to separate merchant flags and navy flags! This is so exciting. So not only will flags look so much better and no longer stretched, but merchant ships will have exclusively merchant flags for their nationality and warships will have exclusively naval flags for their nationality. IS THAT NOT AWESOME???!!!! So coming soon…. Speaking of flags, I announced last update that I had introduced a new flag for the Spanish. Well I found this flag in two contemporary paintings – guess what – the Flag experts got it wrong – according to the paintings its upside down LOL. Take a look at this little close up snippet from the pictures of the month. Some of you have written to me asking when the new release and the Mega Patch will be done. I am sorry folks, but its looking like mid October. I am going to throw a dart on the board and say DEFINITELY 15 OCTOBER! There is a lot of reasons for this. I feel like I am close to being finished with so many things. Jeffrey will do his part lightning fast as usual so not concerned about the new things he’s working on. However, I feel I need two full weeks to get EVERYTHING bundled up and ready. I don’t have two full weeks right now to do it in. The first week in September I am going to the Caribbean again. This time I will spend almost a week in San Juan Puerto Rico for research and fun. Then I’m headed down to Barbados for a few days, Scuba diving on Santa Lucia and then up to Saint Martin. On the way back to Puerto Rico I will stop in Saint Thomas Virgin Islands. I will be gone three or four weeks altogether. I will be writing a couple of articles like the one I did on Curacao. So look for that the first week of October. Between now and then I will have two full weeks to get everything completely finished. I promise – cross my heart, hope to hmmm hmmm hmmm. Also, last check out the new ship of the month on the bottom of the main home page and also the recent screenshots I’ve posted from my testgames. Well it’s June already. May just blurred right past me without me hardly noticing. I am sad to say that for those who play our favored video game I have not completed much more work since I last updated you in April. Still I am slowly crunching away and will have the new patch and version completed soon. What I will say on a positive note is that the patch content will be significant in every way conceiveable. By making some code changes and animation changes with some creative elipse alpha mapping on the flag textures I have achieved a level of realism for flags that I didn’t think was possible in this game engine. Take a look at this video. an impressive modeler with the offering of his new cabin models for GOF ERAS. Next, I want to focus your attention on some things I am following. 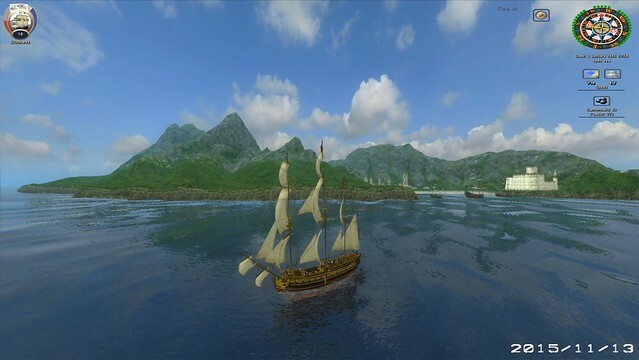 First the pirate version of Warband: Mount & Blade (Caribbean) which I have been following for some time (now known as Blood & Gold: Caribbean) is out in its latest new version with a new DLC added called “All Hands Ahoy”. Take a look at this video. Very cool stuff here with horse racing added even. I can’t wait to try this out. In addition I have been following the continuing COAS mod work of a Russian team of modders that call themselves the Quadratic team. They haven’t posted anything new for over a month so I am worried this effort is stalling. It looks absolutely incredible! 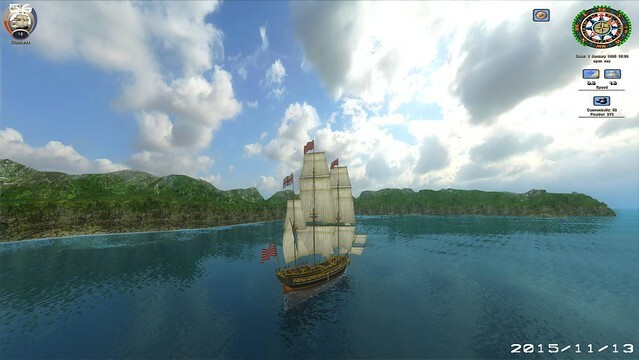 They have set the game in the late Golden Age of Piracy era of 1700-1714 and in the islands of the Bahamas. I had wondered what had become of the talented modeler Rider88 from PA! After PA!’s Spanish Inquisition-like behavior of everything COAS related – with squarely justified blame for all of their negative actions on that banned monster heretic Modernknight1, Rider seemed to have disappeared and never completed or offered the beautiful model of the snow he was working on at PA! Well guess what, his snow resurfaced in this Quadratic team effort led by a Russian Modder called Mett. Galleon also tried to contact these guys and has heard nothing back yet. There are some really great new ships here and I would die and enter heaven if I could get these for ERAS2. So I am making a call out to Mett and the Quadratic team. PLEASE contact us. I want to promote your efforts here and perhaps we can help one another. With Jeffrey’s source code break-throughs there could be some fruitful exchange of materials! WARNING: What you are about to witness could cause you to drool uncontrollably if you are a fan of sailing ships and the game AOP2:COAS. These are long video clips and you will have to skip forward to see the new ships – unless you understand Russian. Here’s their forum activity on the project. I certainly hope it continues. Lastly, for the handful of people that might still be interested in the continuing PA! soap opera drama…SIGH…SIGH again….there was a little germane activity this last week. Its too bad poor MK never gets the chance to defend himself over there. Still Jeffrey aka ChezJfrey does a pretty good job of defending himself on his own over there against their continuing idiot voodoo witch hunt behavior/attitude against anything COAS related. It was no suprise to me that this little exchange ended with Boelen locking the thread. Mustn’t discuss things that might be truthful or make PA! moderators look bad or stupid. Isn’t that just special – and precious too….SIGH…. This is just so sad for devotees of AOP2:COAS and any/all mods. Jeffrey was just trying to offer his own work for consideration there and had honest questions about other efforts COAS related. It’s just so sad that I being the “wrong neighbor kid” have ruined that for everyone. I publicly state to everyone that I am so very sorry everything has gone the way it has and I never intended others to suffer because of my actions and their completely illogical responses. The PA! censorship nazi regime of moderators closed ranks once again and keep their own waning efforts under wraps. Anyway…enough of that. Let me get this bad taste out of my mouth. Pthew…blech. New patch almost done – I promise. Soon. So much good stuff coming through the pipeline soon! I love this AWESOME game and our awesome website! Wowzers I can’t believe how fast time goes by! I can’t keep track of it. A lot of really exciting things happening and so I just needed to tell you before I get on the road again. So first of all I just wanna update you on the Patch. It is coming along nicely but I am still at least a week away from being finished. I am literally burning the midnight oil on this I want to get it finished so badly. I need to travel and I can’t delay any longer so my whole main system is going with me on this trip instead of the laptops I usually take – This is my commitment. What will the patch have? Here’s a list. Promotion system fixed. New goods. New weather and improved sky boxes. New ship handling modifications with more realistic turn rates for all ships. Recruit 6 fighters instead of 3. 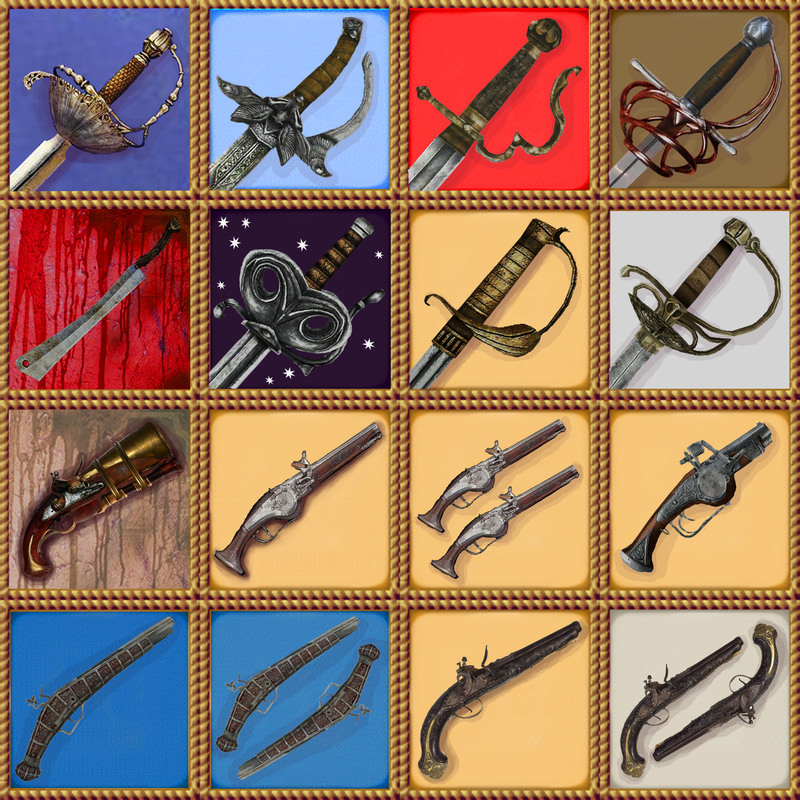 Twelve new hand weapons and 2 new fire arms (Some really NICE ones here!) and FOUR new ships with a total of 12 new skins. I am going to give you some teasers. 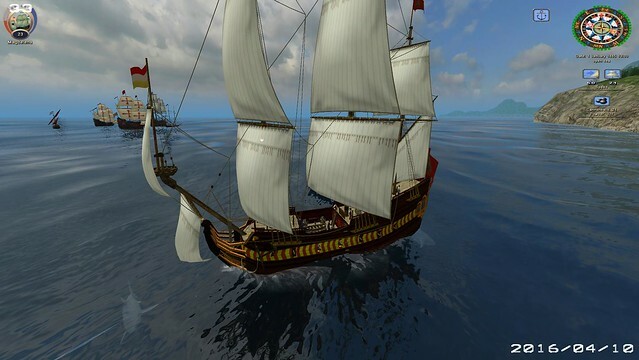 Here are the names of the new ships: Guild Warship, English Snow, Privateer Galleon, French Grand Navire de Guerre. I am including pictures of two of them – the Guild Warship and the English snow. The one pic of the Guild warship below is somewhat reminiscent of the WASA. One of the other skins I am finishing now looks like the famous Dutch built French flagship Saint Louis. Notice the work I am doing on the beakhead in MAYA. I am getting better and better all the time! Soon I will be building my own ships from scratch! The Navire de Guerre is a VCO (Voyage Century Online) ship that has turned out lovely. 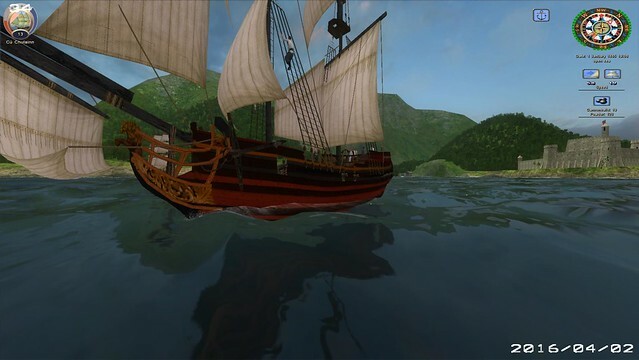 Also the Privateer galleon is a nice little outdated galleon by 1665 that is typical of those used by the English Sea Dogs and Dutch Sea Beggars of the early 17th century. These are all some great additions and I am very excited to bring them to you. The English Snow is simply a reworked Interceptor/Enterprise that has been skinned and re-rigged to match a mid 17th century configuration. Her lines are not too far off and the Snow I saw in the prints I illustrate in my commentary about the Dutch West Indies (still top story on the main page), inspired me to do this. My Spanish players will be very happy about this next bit of news. 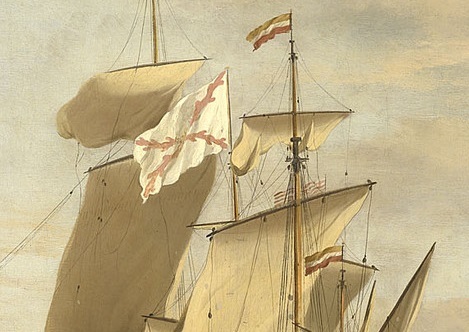 So Blas and Galleon both complained about the use of the 1701 Spanish Navy flag in the game. True the mod is set from 1648-1725, but because we start in 1665 they don’t like the flag. So I have researched for months trying to find a better substitute – and I finally DID! I have seen this flag before in a few old paintings as well as newer ones, but I never thought it was a true Spanish maritime flag and thought the artists were just “making it up”. I saw the flag on a model in Antwerp years ago and I wondered if it might be legit – but thought NO. Well I was wrong. Its not a particularly attractive flag but it matches the others quite well. This was a Spanish naval and maritime ensign which was used throughout the 17th century. The flag is a Red, White and Yellow tri-color. The next bit of news is that Jeffrey with a little help from me got the new fighter mod working. This can be added separately but will also be found in the new patch. This really changes the gameplay folks and is REALLY exciting. This is something I’ve wanted forever. New Horizons has had the ability to take a lot of men ashore for ages, and now so do we. This really helps your odds in those difficult quest or dungeon fights. I LOVE IT!!! Here is a screenshot. All the swabs standing behind me, including Morgan Addams are my fighters! The interface icons are not showing up yet, but Jeffrey has a handle on that in the reworked source-code version of ERAS that we will bring you soon. Speaking of Jeffrey and source-code, we have had some AMAZING breakthroughs. Jeffrey using the source I obtained from Pirate KK several years back has completed the work that he didn’t. This was the version that we were originally going to port New Horizons on to. One of the excuses for not going forward with that effort was that KK had run into some snags. Well Jeffrey accomplished what KK could not. This is a completely new and recompiled version of COAS and Jeffrey has fixed dozens and dozens of errors in the process. My hope is that the next version of the mod that I release in full will be this new version. Jeffrey has almost succeeded in getting the new code to run with newer direct X versions. This is SO exciting! Also Orazio has been working on some new cabin models for extra variety. This is some really nice work and will be a wonderful edition to ERAS. Check out the Member Contributed mods section to see screenshots of his excellent work. As far as my island and new colony work are concerned I have run into snags with the main island model. I can completely and successfully import new islands and colonies, however, you can only approach them through your direct sail “sail to” function and when you leave you will find yourself at a different port. The reason is that the COAS Islands on the map are part of one large model. So even though I have the other models in the right place as far as coordinate go, the game won’t read them unless they are part of the larger model. So I am working on two test efforts presently. One is a complete import of ALL New Horizons locations including THEIR map into GOF ERAS. So if this works it will basically be a ERAS version of the New Horizons game world. The other is my continuing modifications of the main island model with new island models added to the rest. If I had a good modeler here with us, this would already be done, but I am still in learning mode. SEA DOGS: To Each his Own. (TEHO): So I have been playing TEHO this week and its not as hard as everyone led me to believe. I am actually having quite a lot of fun. When I get a little further, I will write a full review of the game and my thoughts on its strengths and weaknesses. So look for that soon! I promised Joruba I would review and promote the game – and as much fun as I have been having, I fully intend to make good on that. 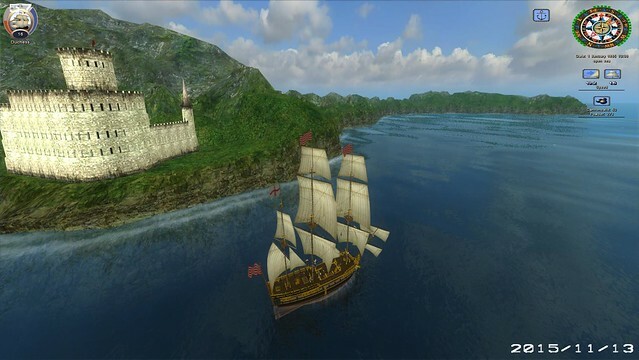 CARIBBEAN: (Mount & Blade derivative) I have also been playing the newest version of Caribbean by Snowbird. If you wanna see a brilliant April fools gag you should go over to their website and check out the mayhem. This new version is really good. 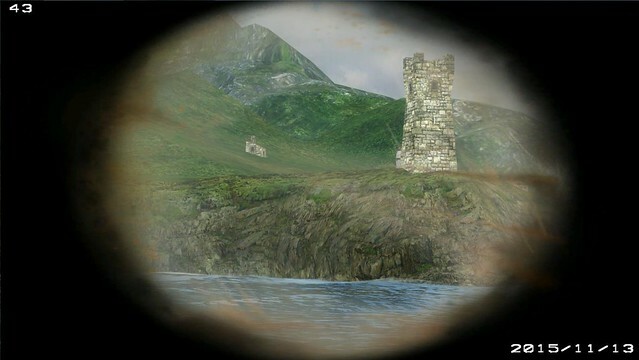 The fort bombardment scenes and action is incredible! Also there are now ladies of the evening in the pubs and many sub quests to chose from there as well. You can be taken as a slave and you can get away if you are patient and skillful enough. This game is just going to get better and I plan to post a new review soon. My greatest disappointment with this game still lies in its lack of variety in ship models. You can never have enough ships! Last I am amazed that we now have over 5,600 members as of this week but really quite disappointed that so few participate. The mod has been downloaded thousands of times and we get hundreds of visitors a day but few of you are willing to drop me a note in the forums and say Hi or just hey I like the mod – thanks. So because of this frustration I have decided to release two versions of the patch. One will be for contributors which I will personally email with link details (those of you that have commented, provided feed-back, and have contributed with actual content will get these emails). For everyone else the regular patch will be upcoming here. I haven’t completely decided what to leave out of the regular patch yet. I am thinking a few of the new weapons and one or two of the new ships will only be for those loyal members of the reef that actually contribute to the community here. I just wanted to take a moment to fill everyone in on what’s going on and my thoughts about a few things. First, I want to announce that as of this week we have over 5,000 registered members. WOW! I wish more of them would participate. Our daily visitors vary from about 130 to 300 and we average out at a little under 200 a day. Not bad. We get about 10-25 spam entries a week but the site’s screen has been excellent about filtering it for me to look at before it goes public. The patch is coming along well and will have two new ships and eight new weapons. The rank and promotion system is fixed and there are also some new weather effects enhancements, skyboxes, and ship turning behavior modifications. 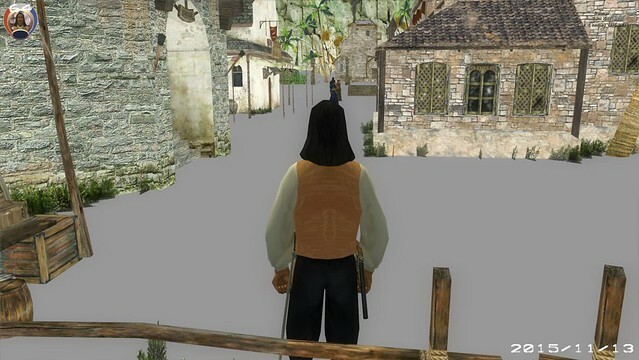 I have not been able to get Saint Kitts fully ported because I am still having a couple of minor locator problems, but the largest problem is my merging it into the MAYA model for the other islands. COAS has all models modeled as one big model. I have had some success and am still playing with it. If I can do everything I am trying to do, all models will be modified slightly pulling their bottom edges over the Z line. This will mean that we will never see the floating island problem again. If I had a good modeler here helping me on the reef instead of relying on trial and error, this would already all be done. The good news is that when I fully figure it out, the others will be easy to merge. 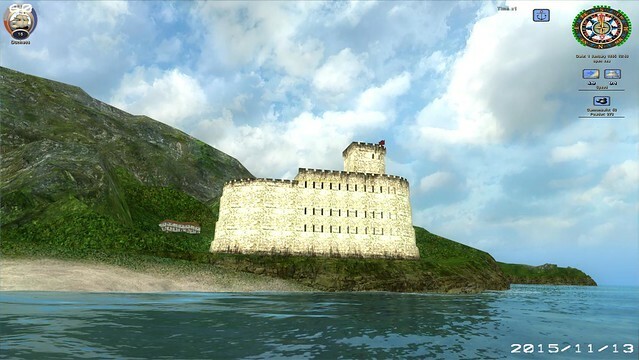 @Galleon, I looked at that Fort in the Kronstad 1.2.4 mod as you suggested and it will be easy to import. Its coded as/considered a ship actually(but it wont move). I plan to put it in several different places. All this to say no new locations in the patch….yet. I am still working on the additional new fighter mod that will add two more fighters to the three you have already. I think this is going to be a separate mod now. Jeffrey has just brought up some things that make it somewhat problematic, but I still think we can solve it and get this in. I’ve wanted this forever! In my absence Jeffrey was posting fixes here and decided to post some over on PA! for people that might stop in looking for answers. Just for kicks I often peruse what people are looking at – at any given time. Amusingly enough, topics about GOF and COAS seem to be more popular than anything else they’ve got going on over there. That must urk the hell out of them. LOL I plan to open the topic on COAS walkthoughs, playing tips and quest solutions over here this week so people won’t have to go over there to read those topics anymore. Several of you have complained to me about it already and I just haven’t had the time to do it until this week. Anyhow, one of their moderators started giving Jeffrey the third degree and here is the resulting post: This is for ERAS? MK’s Public Service Announcement: THIS is a hobby website with NO nefarious or bad intent. 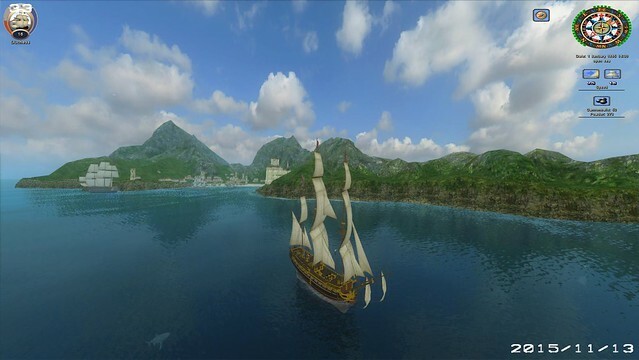 It is ONLY here for educational purposes and to provide like minded people with a place to talk about our shared interests and share FREELY in what I FIRMLY BELIEVE to be the BEST age of sail and pirate video game experience you can have anywhere in the whole wide world at the present date/time group. Do you see any advertisements here? I make ZERO money from this site. I do it only for fun. Period. Having said that, I publicly challenge Mr. Thagarr (RON) – here and now – to back up his accusations with solid, concrete proof – and no more vaporous ethereal fantasy delusional flim-flam crapola, because he just can’t stand that we’ve built something successful over here that even slightly challenges their place on the web – and what used to be their monopoly. Sorry Thagarr….no more PA! monopoly. Can’t I just have this little corner of the table cloth? Please? You need to learn to play nice now OK. Because a few more of those kinds of remarks and I will have all of the ammunition I need to slap a libel suit on you that will be legally disastrous for you guys over at PA!. I don’t like to be mean. I REALLY don’t. But lets be fair. OK???? Sorry about the issues. I failed to correctly update the site to a new format – so going back to an earlier version. A fair share of negatively charged stuff going on for this tired old has been, and pretty darn tired of everything. At least its all back up and running for the handful of folks who actually are interested and participate. HAPPY NEW YEAR to all of ye scallywags stranded here with me on BUCCANEER’S REEF!!! I can’t believe the Reef has been online for over a year! I can’t believe we are still here. Things started out fast and we had a lot of initial interest and then all of the wind fell out of my sails. Regardless I kept working on improvements to my favorite game ever. I kept reading and learning about my favorite historical era and sharing articles about that subject here. When I felt alone in the boat, I was going to let the site die off. I just figured no one was interested anymore. You the reader and fan of our game told me different. The sudden burst of interest after my last updates and plans to phase out, caused dozens of messages to come flowing into my inbox and many expressed their support on the site as well. With the sudden new memberships of several great contributors (including a brilliant Computer scientist/coder: Jeffrey) that sealed the deal – we were going to renew the website for another year. So here we are going strong and with more interest than I’ve seen in the year we’ve been online. Our daily visitor views are now spiking at over 300 a day! Unbelievable! ….and awesome even if they don’t join or comment…. So state of the website is that we have over 3,500 registered members now and are averaging about 40 people online at a given time. The most members I have ever seen online at the same time is 5 but that’s OK because we only have a few really active people/contributors at any given time. I have only had to ban/block a dozen or so people for very deliberate spamming. Still I never believed we would ever have that many members a year ago. We have had over 80,000 visits in the last year! That’s just insane considering half the year the site was almost dead, no one here really and I was busy doing other things. So lets talk about whats in the works for the future. First off with Jeffrey and Galleon’s amazing contributions/help (and some bits from a few others who will be credited), what I am calling the MEGA-PATCH (Patch2) for GOF ERAS2 will be coming out very soon. In addition, there is so much new content that I am going to recompile the entire mod and reload/and assign a new version number, so that people downloading fresh will not have to patch their games. According to Jeffrey his fully patched version is so stable that it crashes only rarely. New stories and reviews are coming. 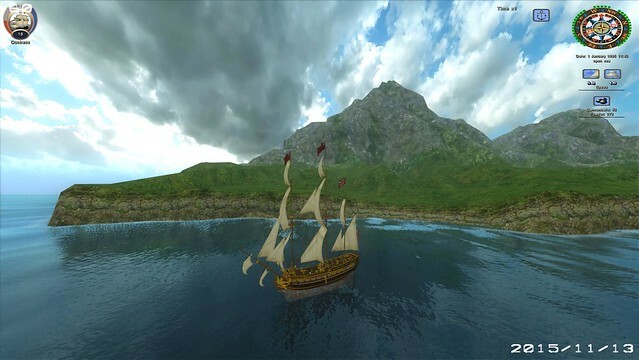 I helped beta test Caribbean! so when the new version was released (BLOOD AND GOLD: Caribbean!) I got a free version and have been playing. Some may remember the review I wrote about Caribbean! last year. Well they followed a lot of my advice I think and the new offering has a lot amazing new content. I will be posting screenshots, starting a new topic, and I am writing a new review that will be posted here shortly. I just picked up the first two seasons of Black Sails on DVD. I usually don’t buy like this and prefer to buy the entire boxed sets when the series are complete. I loved the Sparticus series on Starz and bought the entire boxed set and we are going to have a marathon when I am feeling better. Anyway season 3 is starting in just a couple more weeks (January 23rd). So I missed half of season 2 because I was so busy going around everywhere. So I want to catch up before season 3 starts. There are a couple things I don’t like about this series, but I MOSTLY love it…mostly. (southpark/alien joke). No I really do like it very much – I wouldn’t have created Black Sails based characters in ERAS that look just like their series counterparts if I didn’t. All this to say that I will be writing a comprehensive review and perhaps we can even get a discussion going about it. In fact its funny because this page has had more shared social media exposure than any other single item on this website. Just take a look at the bottom of the page – 43 likes on facebook as of today!!! Amazing! You might also remember that I wrote a very in depth review of this movie which hardly anyone read until recently and suddenly TONS (well over several hundred views) of people are reading it: https://buccaneersreef.com/review-week/ However, I guess people don’t like my somewhat negative review because it only has 1 like. LOL – I may have been a little critical, but I still did like the movie and make that very clear at the end of the review. I have read several more really great books and reviews are coming. Also I have selected some new models and ship paintings for our topics here so look for those. Last I will be posting the next chapter to my own Heyn story even though I know only a handful of folks are actually reading it. So I am hoping this will be a VERY exciting year for us. I think it will! Thanks for all of your support! I wanted to take a moment this evening to talk about where we are with additional upgrades to the GOF ERAS2 mod. So as I’ve said before we are very close to having the extra fighters, additional cargoes, and historical cannon mods done soon. We are very close and all of these will definitely be in the next update. However, I really want to talk about where we are in reference to new colonies and locations. A few months ago I showed you a teaser of new islands that I have put in the game. I want to go one further now and show you more teasers of the location itself and where I am with building them. Take a look at the following screenshots. 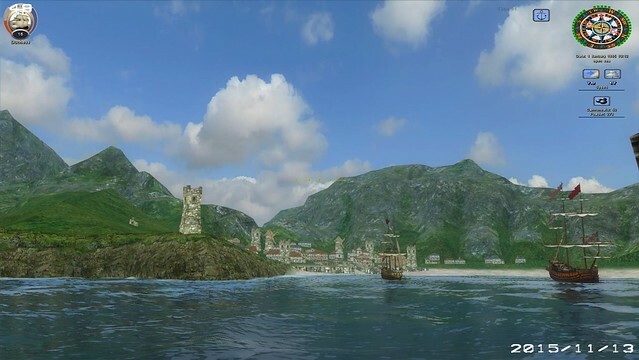 This is Saint Kitts from SOFS ported into GOF ERAS. I finally have most of the locators sorted out. So you can see people and vendors all in their correct places. I just need to sort out what additional houses and buildings I need to still install into the town. The exciting thing with this work is that I fully know how to port new places into GOF ERAS2 now! This is exiting because now that I have this colony in place and figured out, the sky is the limit. I can AND WILL, import all the remaining SOFS locations AND the POTC NEW Horizons locations into GOF ERAS! 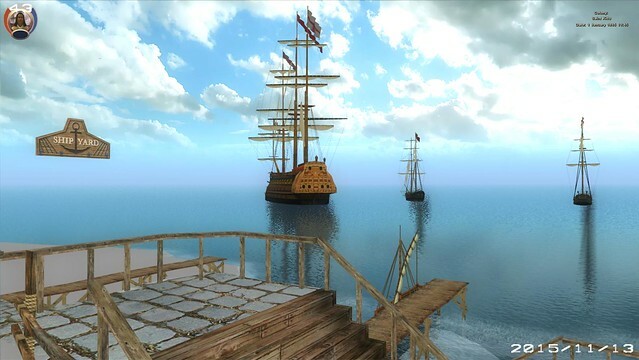 We will have a game world with more locations than any other pirate or age of sail game out there anywhere. The new POTEHO crypts are awesome and instead of utilizing the COAS dungeons in the new locations, I will utilize the POTC sewer and dungeon locations and POTEHO crypt locations in the new added towns. 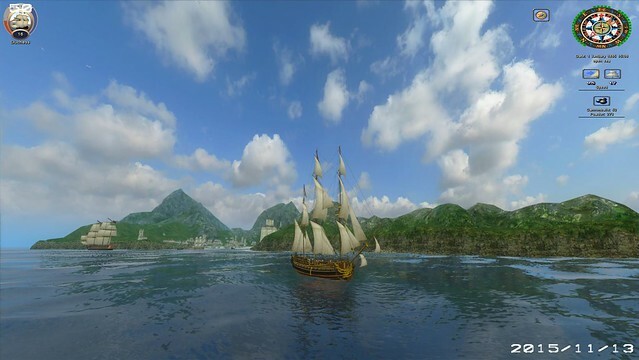 So take a look at these new screenshots of St. Kitts added to GOF ERAS2 1.5.8 and get ready for a bright future!!! Its so sad the PA! 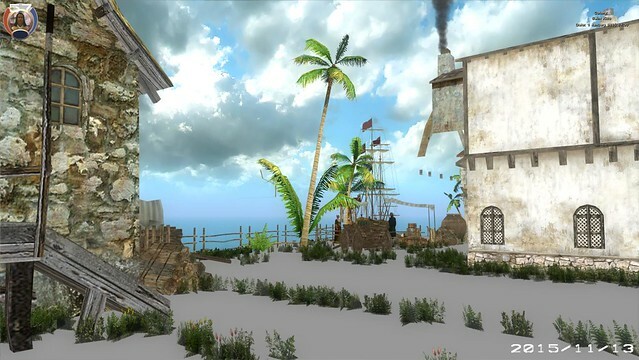 guys could never see the excellent improvements in COAS over POTC and superior visual appearance and character animations – and subsequently – jump on board with a consolidated effort to port New Horizons into COAS. Despite their shortsightedness and tunnel vision, I will make that happen anyway with the help of a few friends – regardless of their close minded backwardness over at PA!. Great things happening. I am determined to get every drop of potential out of COAS into my very own GOF ERAS2 mod.